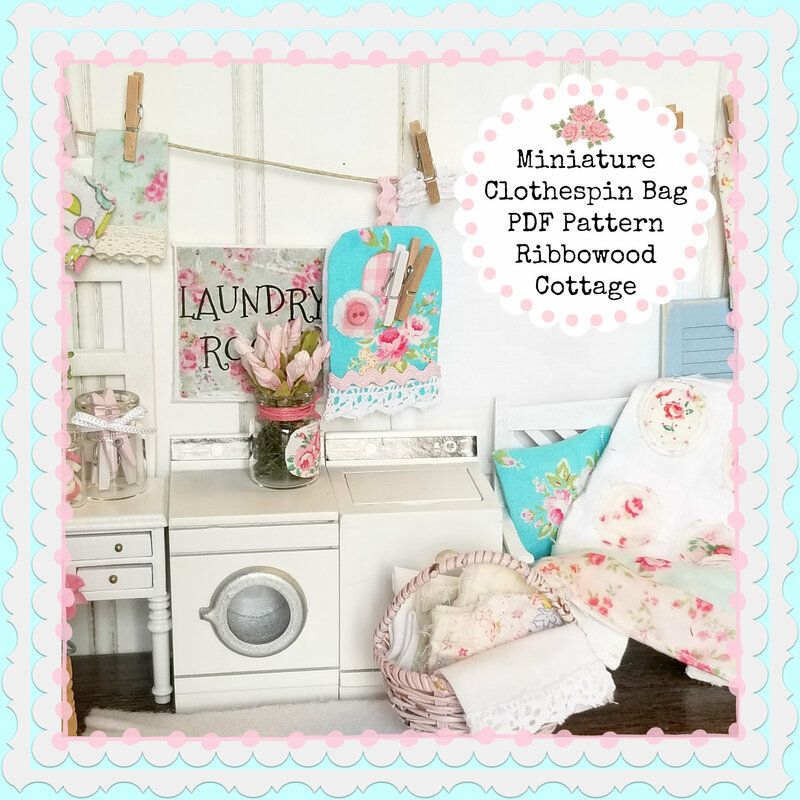 This miniature Clothespin bag is a no sew pattern! It is really easy to make. 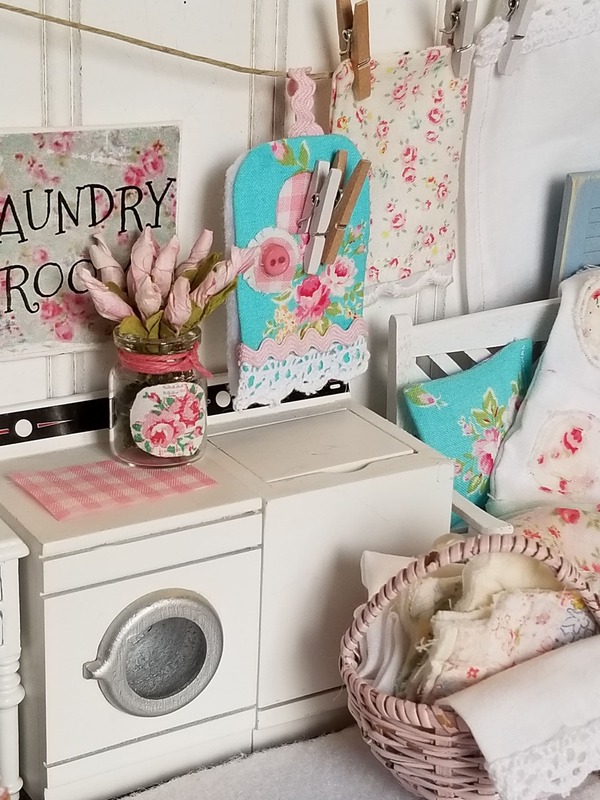 The miniature clothespin bag is a perfect little addition to a dollhouse washroom, or a miniature vignette. 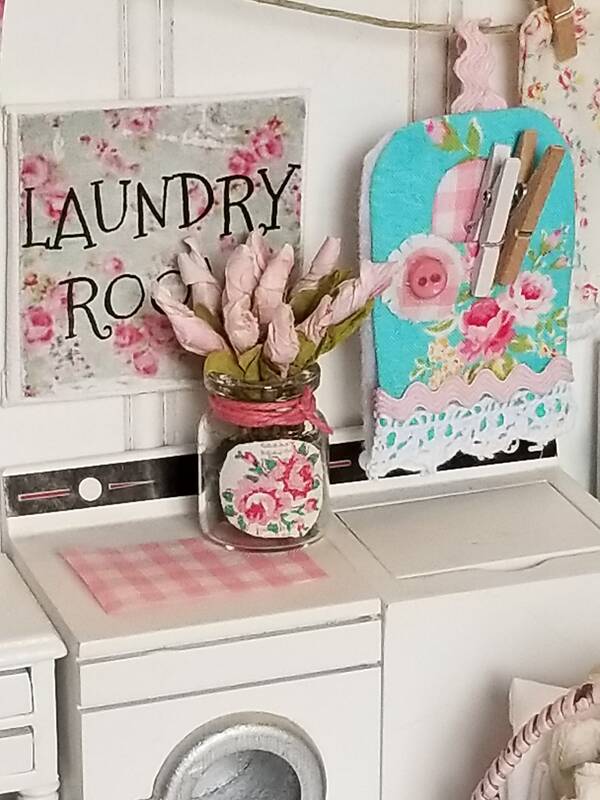 Add a few little miniature clothespins and it is adorable all on its own on a shelf in a cottage style laundry room. Measure, cut, glue and add embellishments and the clothespin is finished. Besides the fact that it has a vintage feel about it. 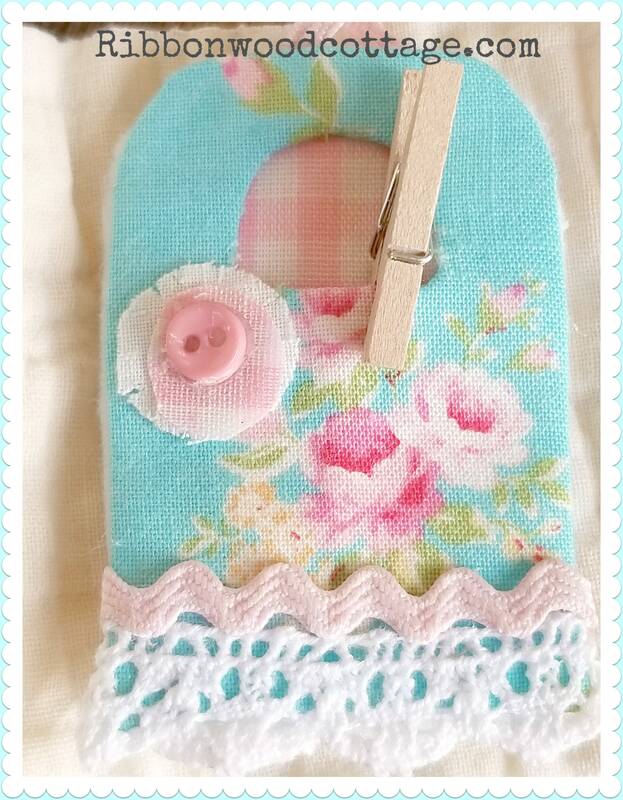 I remember my grandmother had the most beautiful clothespin bags. 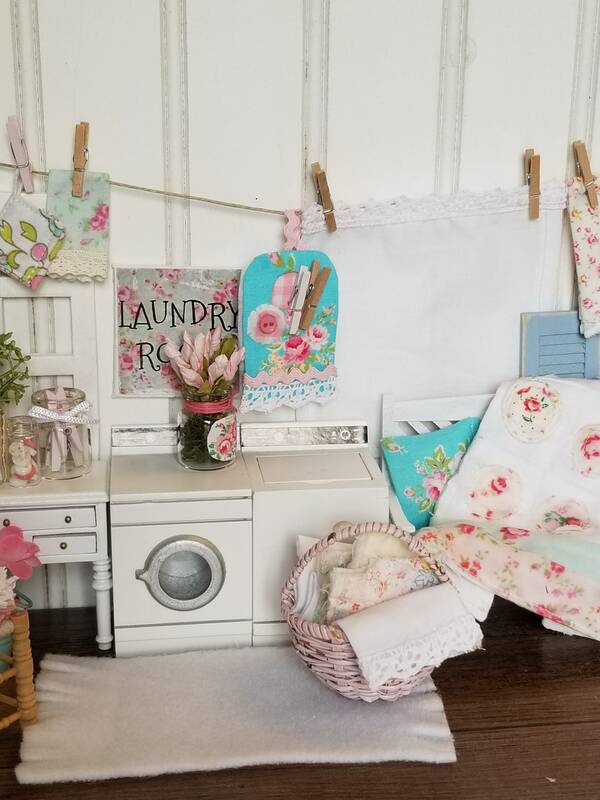 I remember asking her about them, and she said if you have to do laundry, and you do....why not have beautiful things around you that make it nicer to do the laundry. Well I liked that idea! 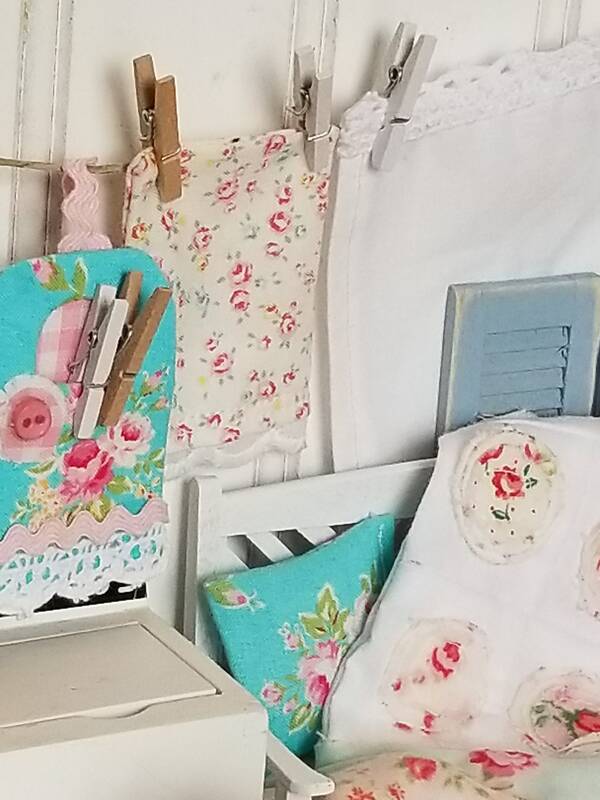 I love vintage clothespin bags and see them all the time on Pinterest! That was my inspiration. This pattern is simple. Once the transaction is completed, the file and link are provided to you. Click on the link and the pattern opens up just like you are looking at a regular pattern. It can be printed out or just stored on the computer or tablet for looking at. Thank you! I hope you enjoy making this. *This is my design and it is copyrighted. Please do not share on social media as a free pattern. Thank you!